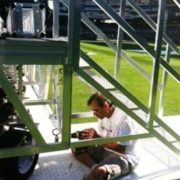 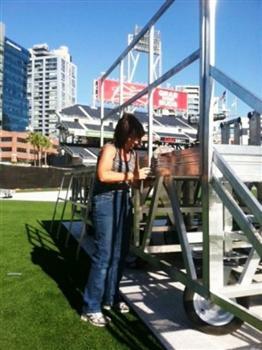 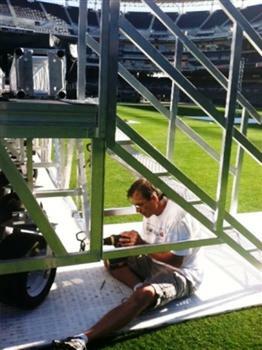 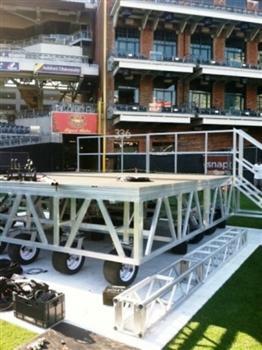 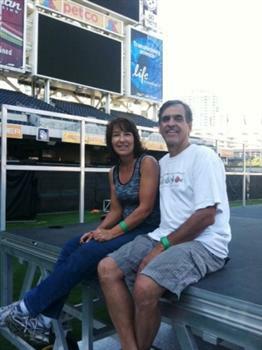 In 2012, the San Diego Padres hired us to build a platform/stage to be used for pre and post-game concerts. 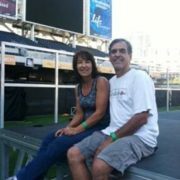 The 768-s.f. 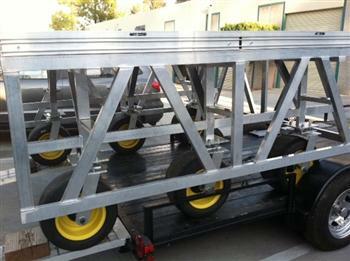 platform consists of 12 individual 64-s.f. 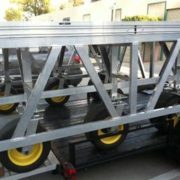 platforms that can be used individually, in groupings or be fastened together to form one large platform. 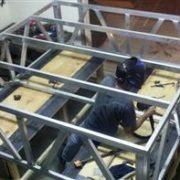 The biggest challenge of the project involved the swivels. 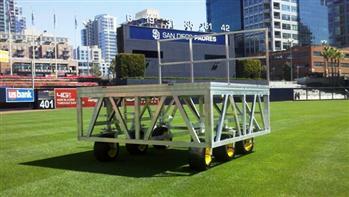 After calling several swivel manufacturers across the U.S. (and being laughed at by many of them), we found that nobody made a swivel large enough to accommodate the 12" wide tires required by the Padres chief groundskeeper. 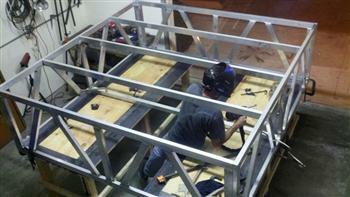 Given no other options, we designed and built a proprietary swivel for the tires. 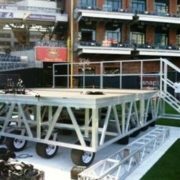 End result: Our customer was ecstatic and in 2013, we made 50 of this same wheel/tire/swivel combination for the upcoming World Series of Cricket in Melbourne, Australia.